Stunning Video Quality - New optics and updated image sensor provide 2x sharper video. 60 Second Setup - Connect to Wi-Fi via computer or iOS mobile device, live stream in under a minute. Incredible Field of View - 130 degrees diagonal, plus Zoom and Night Vision, so you don't miss a thing. 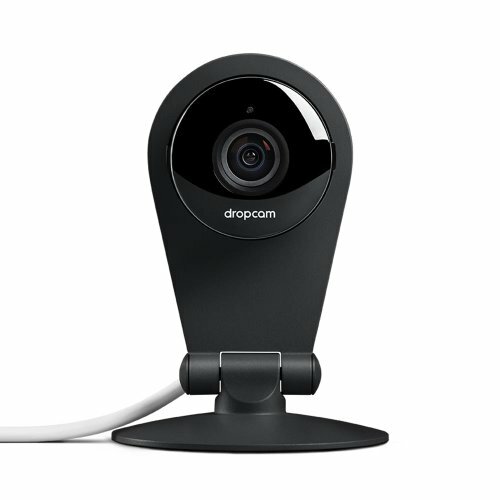 Dual-band Wi-Fi - Dropcam Pro supports both 2.4GHz and 5GHz Wi-Fi networks for improved wireless connectivity. The latest product from the company that makes the best-selling security camera, baby monitor and pet-cam.